Writings from Vermont’s incarcerated women tell their first-person accounts of addiction and mental illness within the prison setting, thus highlighting the challenges these women face in moving forward with their lives. The book offers discussion guides to encourage community involvement in understanding and acting upon issues raised, thus serving a dual educational and advocacy role. Sarah W. Bartlett | Sarah’s work has appeared in Adanna, Ars Medica, the Aurorean, Chrysalis, Minerva Rising, Mom Egg Review, PoemMemoirStory, Women’s Review of Books; anthologies including the award-winning Women on Poetry, McFarland & Co. Inc., 2012; and two poetry chapbooks (Finishing Line Press 2011 and 2017). Her work celebrates nature’s healing wisdom and the human spirit’s landscapes. She is founding co-director of writinginsideVT to encourage personal and social change through a supportive community within Vermont’s sole women’s prison. Bianca Viñas is an MFA candidate in the Writing & Publishing Program at Vermont College of Fine Arts. 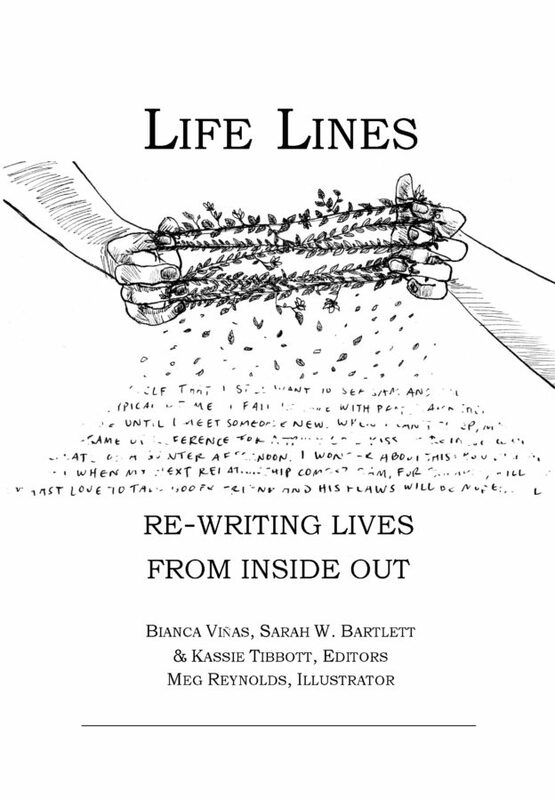 She has been working with writinginsideVT and this anthology since moving to Vermont two years ago. Bianca is currently completing her first novel, a hybrid work of poetry, medical research and narrative prose. Kassie Tibbott | Kassie’s work is dedicated to empowering others through education and community building. Kassie started volunteering with incarcerated women in 2016, as a part of the SPEAK Debate Prison Initiative. Later she joined writinginsideVTand hosted discussion groups and voter registration drives at other correctional facilities. She believes that in order to reduce recidivism it’s important to help individuals find their own voice, rather than speak for them. This is where her passion and the production of this book intersect. Kassie is Coordinator of the Community Legal Information Center (CLIC), the State of Vermont’s public law library located in South Royalton. Meg Reynolds is a poet, artist, and teacher living in Burlington, VT. Her work has appeared The Missing Slate, Mid-American Review, Fugue, Utterance, Inverted Syntax, and the anthology “Monster Verse: Poems Human and Inhuman” as well as “The Book of Donuts” and “With You: Withdrawn Poems of the #MeToo Movement.” She is long-time facilitator and co-director of writinginsideVT.